Every Thursday is Martini Night! 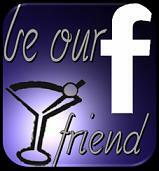 Listen to smooth jazz from 7pm to 9:30pm and enjoy $5.00 martini specials all night! All shows begin at 8:30 p.m.
Get Updates Sent to Your Email!! Click to get updates on Remy's specials and up-coming events sent to your email!